A snapshot back in time. 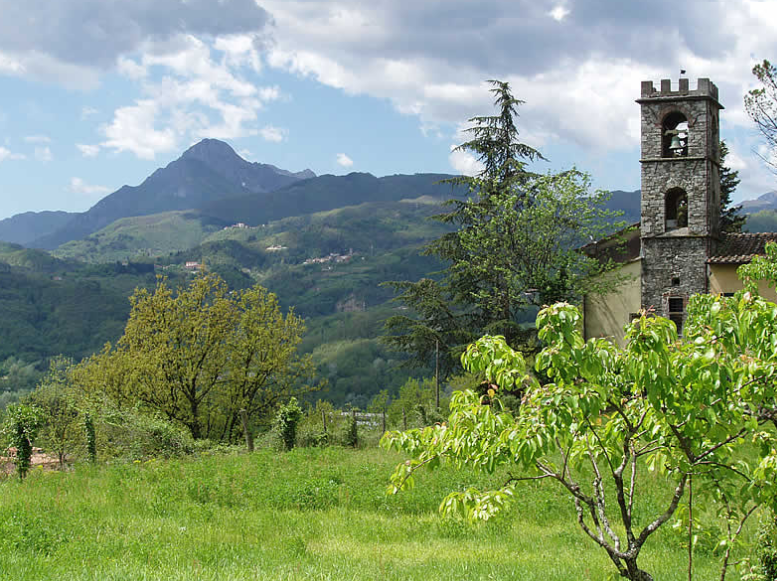 The Conti family go back to the start of the records in the little Church of St. Nicoli in Castelvecchio Pascoli in 1639. 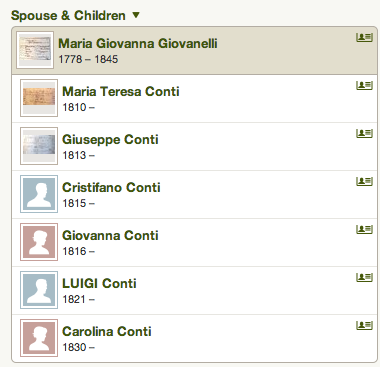 The Conti family had much social interaction not only between themselves but also between local families. It is not uncommon for two sets of brothers to marry to sets of sisters. It then becomes a bit muddled for the genealogist. 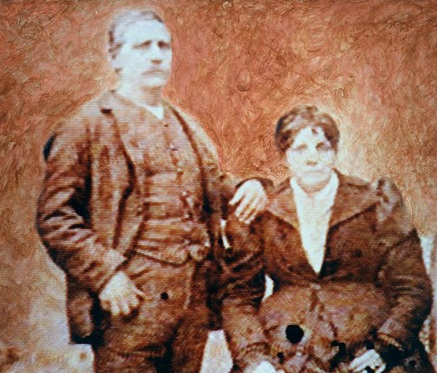 LEONARDO QUILIETTI married Eletta Brucciani in the village in the year 1866. This is our link to the Conti line. 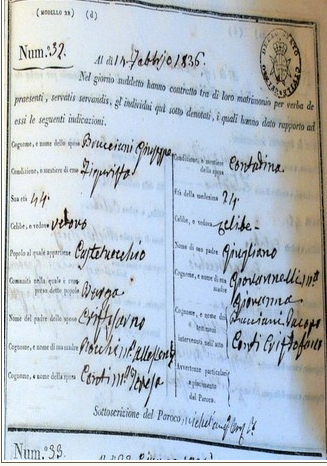 ELETTA, or MARIA GIOVANNA ELETTA BRUCCIANI was born ON 26th November 1844. Her parents were Giovanni Giuseppe Brucciani and her mother Maria Teresa Conti. Eletta’s line is documented in the archives of the Church to its beginning, when it was built in 1637. Her parents married on 14th February 1836. Her father Giuseppe had been married before and was now a Widower. He was now 44 years old. Her mother Maria Teresa was 24 years old. Her dad was also described as property owning and a ‘Figuresta’ or master of marble. This was a skilled profession and our ancestor would have obtained his marble from the Carrera mines nearby. 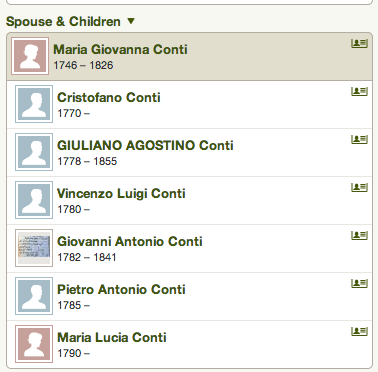 Giulio’s dad was Giulio Nicolai Conti and he was my 6th great grandfather. He was born in Castelvecchio Pascoli on 16th October 1691. 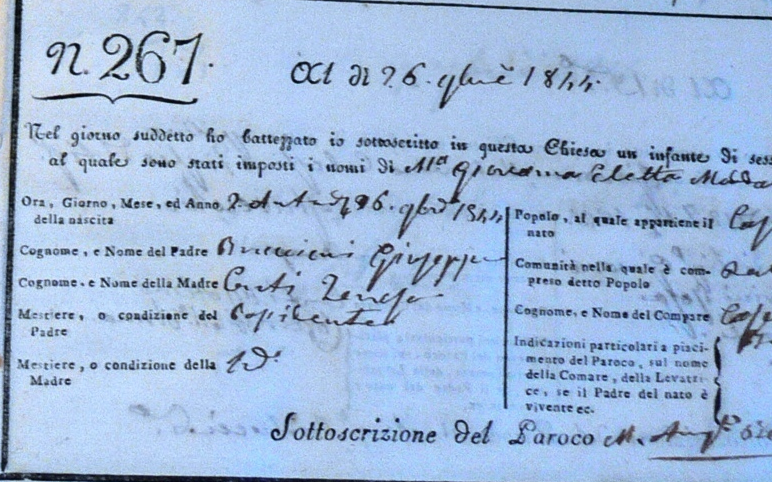 He married Maria Francesca Lucia Brogi. Brogi is a surname well known to that area also. Dear Albert, this is Mara from San Pietro in Campo. My Mom was Clara Bacci, daughter of Ada Turicchi and Nello Bacci. Ada Turicchi was the sister of Teresa Turicchi Fiori of Providence, RI. I remember when Albert Conti and Patricia came to San Pietro in Campo at my grandparents home.You probably are that Albert Conti.I was trying to find something about you so I am glad to find your message here. I know the Turicchis of Texas because sometimes the came here and I visited them too. I would like to keep in contact with you and your family. I also met Maria Paula Conti that visited Italy with her family but I haven’t any new from her. Albert Conti and my Mom wrote letters eachothers because he was Derna’s hausband, (Derna was my Mom’s cousin). The lastnames you mentioned, Bacci, Turicchi,Dolce and Del Checcolo, belong to my family.